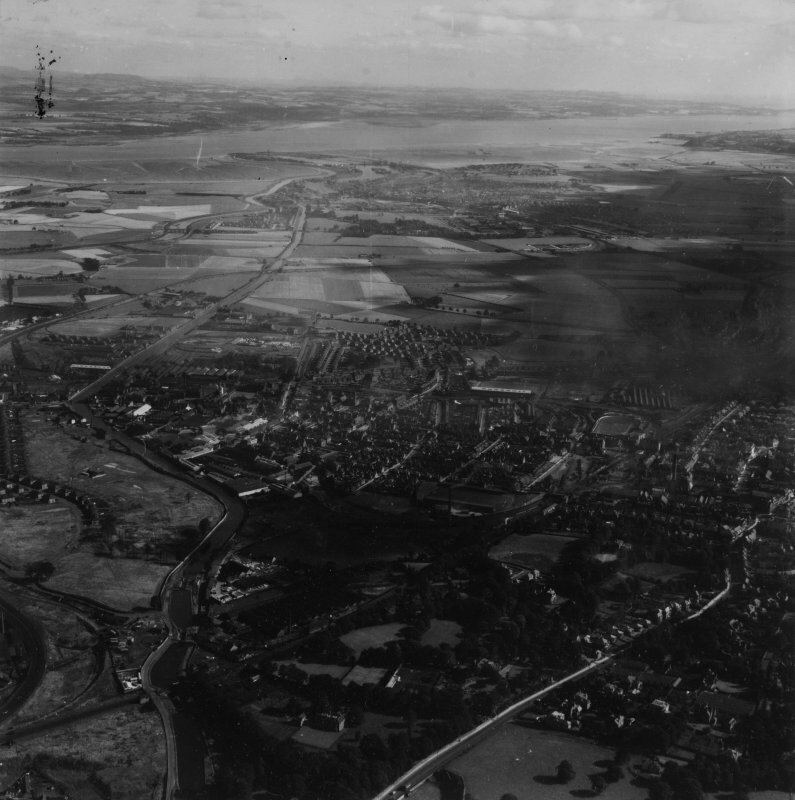 Falkirk, general view, showing Dollar Park and Dalderse Avenue. Oblique aerial photograph taken facing north-east. This image has been produced from a damaged print. Campfield is the site of the position taken up by the Scots army under Sir William Wallace on the 22nd July 1298, where they were attacked by the English army under Edward I, who put them to flight. At intervals, portions of spears and battle-axes have been found in the field and round about. Groomes states that contemporary English gave the numbers of the army of Edward I as 7,500 mounted men-at-arms and 80,000 foot, with Wallace's army a third of that size. The battle site is completely built over with practically no open ground.